Group photo of participants during Dr Silvas' presentations. 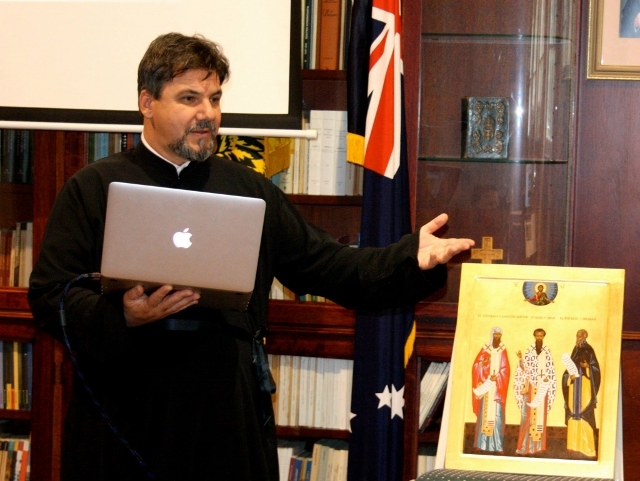 Dr Silvas holds the icon written for the event by Michael Galovic. 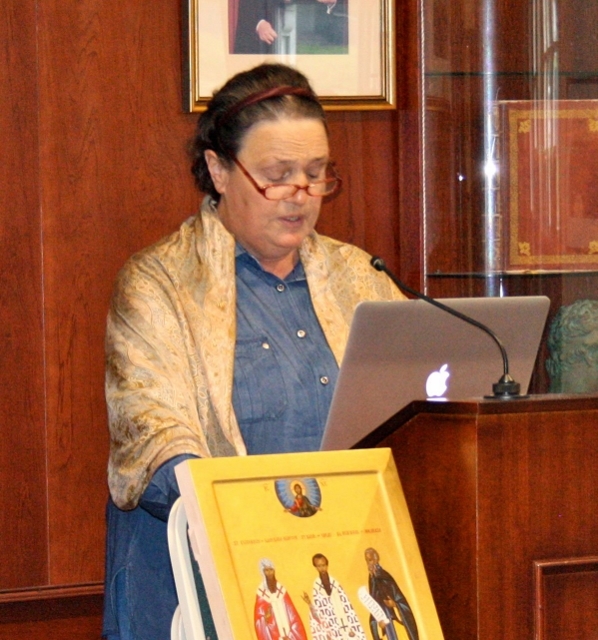 Dr Anna Silvas, FAHA; a renowned scholar and good friend of the college, presented on "Nexus of Greek, Syriac and Latin Christianity: St Basil the Great's Small Asketikon" and "Was St Basil the Great a mystic? Was he a mystical theologian?" The Very Revd Dr Doru Costache introduced Dr Silvas and moderated the event. Here he is describing the icon of St Basil the Great, St Eusebios of Samosata and the Blessed Rufinus by master iconographer Michael Galovic. 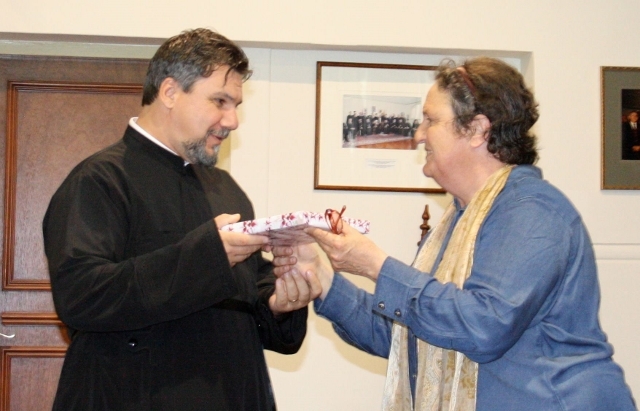 Fr Doru presenting Dr Silvas with a gift from the College. 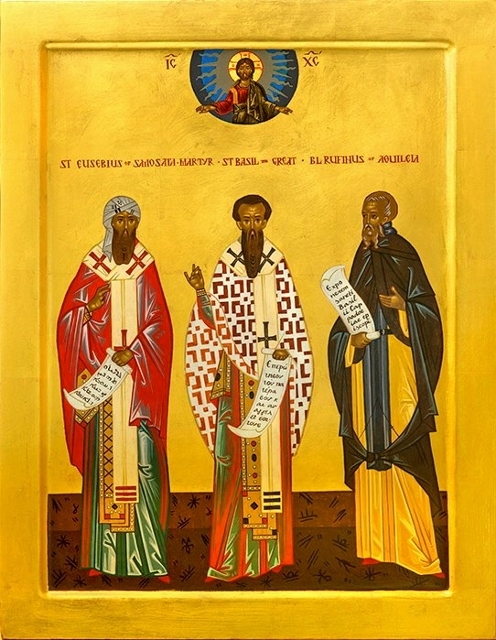 The icon of St Basil the Great, St Eusebios of Samosata, and the Blessed Rufinus by Michael Galovic. "Anna led us with mystagogical skill through the incompletely mapped territory of St Basil's mystical theology. 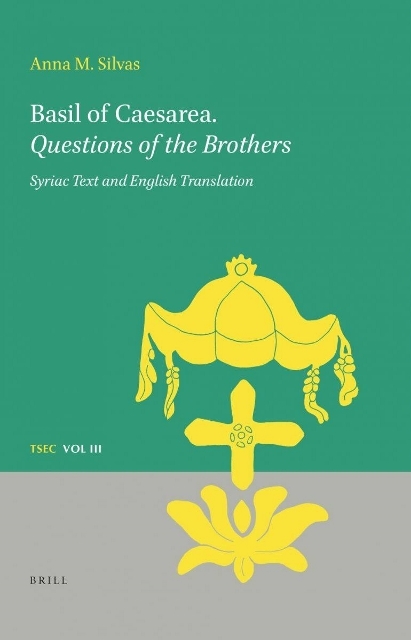 The audience was awed by the thorough analysis of various Basilian passages which revealed a new portrait, that of a genuine saint and mystic, in contradistinction with the dominant perception of the great Cappadocian as a politician, doctrinal polemicist and pastoral ethicist. Throughout the presentation, Anna disclosed once again her deep devotion for St Basil and her personal interest in the spiritual life. Perhaps less expected from an academic, she ended by invoking the great Cappadocian: 'Holy Father Basil, pray for us.' The lecture was followed by a lively conversation on the current academic lack of sensitivity for the experience of holiness, and the vocation of the ecclesial scholars to emphasise the inner dimensions pertaining to the lives of the saints. An enriching day for our College!"